Facial wrinkle elimination, eliminating scars, tightening and lifting: transmission of high frequency radio wave energy into the subcutaneous tissue generating heat immediately shrinking collagen. Facial lift: non-surgical, non-invasive technique to improve health and appearance of the skin. 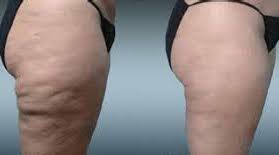 Removal of wrinkles, tighten skin , shrink pores, removal of face edema, toxin removal , tighten neck area. Tripolar small RF for face and eye around,A tripolar facial lifting uses technologies developed in the medical and physiotherapy fields to activate the skin's natural chemicals responsible for health and vitality.Bipolar Tripolar RF Facial wrinkle elimination, tightening and lifting.